Drawing from its origins in the United Nations, PPAF emphasizes policy issues and their implementation in practice. PPAF works at the levels of national governments and international organizations for the promotion of a business approach to development and poverty reduction. The UN Global Goals (2015-2030), the UN Millennium Development Goals (2000-2015), the UN Global Compact, the Principles for Responsible Investment, sustainability principles of the International Development Bank and of the Rainforest Alliance, and other policies promoting sustainable development shape PPAF's networking and actions. "There is a growing recognition that many of the world's most pressing problems are too complex for any one sector to face alone. Thus, since the 1990s, the private sector and other stakeholders have increasingly become active partners in helping the Organization achieve its goals, as a complement to government action." The UN Global Goal 17 (Partnerships for the Goals) promotes action and interaction in all countries and from all sides, including governments, business, non-governmental organizations, academia, community groups, individuals and United Nations entities. Public-private and multi-stakeholder alliances are important to the global efforts to achieve each and all of the Global Goals, for they are all interlinked. ​David Stillman spoke on May 23rd at a UN high-level event on Public-Private Partnerships. Please see our News and Events section for the full description. 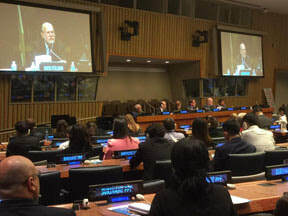 On the occasion of World Environment Day, this half-day conference at UN Headquarters brought together policy makers and scientists for a panel on relations between health and environment. Speakers addressed topics including children's environmental health, the effects of dust and destruction, metals & the global food supply, and cardio-vascular disease & air pollution. David Stillman gave concluding remarks on PPAF's efforts in Haiti after the earthquake, focused on improving air quality and women’s and children’s health, mitigating deforestation and encouraging small business. UN Academic Impact (UNAI) held the symposium as part of its START series (Skills and Technology Advancing Rapid Transformation), which uses research and science to address world issues, including global health. For more information on UNAI and their support of UN goals, click here. Fritz Gerval Octave, Senior Energy Specialist (IDB-Haiti) invited PPAF to present its current work at a forum on innovations in sustainable cooking in Haiti, held on September 9. David Stillman, Tom Setchel and Al Shelton (D&E Green) made a joint presentation on the work of PPAF & D&E, development of the Recho EcoVit cookstove, and the process of distilling fuel ethanol. ​The PPAF-D&E Green presentation was very well received by the 40 participants who attended, including the DirectorGeneral of Haiti's Bureau of Mines and Energy. PPAF had previously served as a consultant to the IDB in 2013 on the project "Ethanol Stoves and Fuel in Haiti." ​The United Nations Environment Programme awarded PPAF a grant in May 2015, to expand the project in Haiti on Ethanol Cookstoves and Fuel. Since 2014 PPAF has worked with D&E Green Enterprises, a prize-winning Haitian company that manufactures and sells "improved" cookstoves that burn less charcoal or than otherwise. The grant enables PPAF and D&E to refine the design of a new ethanol stove, test it with potential customers, and develop a business plan for commercial rollout. PPAF personnel visited Haiti in late May to get this stage of the work underway. Since then, the partners carried out a kitchen use test, developed marketing materials, and administered surveys on stove use. 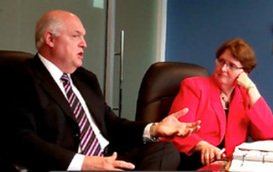 Working with women is an important component in all the phases. Women make up 75% of D&E's 100 stove distributors. PPAF team members will work with D&E in September on the second kitchen test and stove improvements, and begin developing a business plan. This event was associated with the UN Commission on the Status of Women and held in cooperation with the UN Association Southern NYS Division. This event was associated with the UN Commission on the Status of Women and held in cooperation with the UN Association Southern NY State Division and its Energy Project. 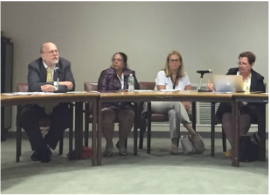 PPAF worked with the UN Department of Public Information to host a lively and well-attended panel discussion on the 13th at the UN. Panelists explored the connections between bio-energy policy, clean cook-stoves and ways to improve making alcohol (ethanol) for cooking. David Stillman moderated the program. Panelists included: Kathryn R. Leininger (Business Development Manager JMConsulting), Corinne Hart (Program Manager, Gender and Markets Global Alliance for Clean Cookstoves), and Thomas Setchel, (Energy Conservation and Distillation Specialist, Sustainable Technology Systems Inc.). On June 17, at the invitation of the Ambassador of the Dominican Republic to the UK, Federico Alberto Cuello Camilo, and as part of "Dominican Week in the UK", David Stillman spoke at the Tenth Roundtable on the Dominican Republic and Haiti. The meeting addressed innovations for increasing environmental sustainability in the DR and Haiti. Government, business and NGO community representatives attended. The Vice-Minister of Foreign Affairs of the Dominican Republic, H.E. Jose Manuel Trullois, offered opening remarks. Nick Harvey, Senior Resiliance Adviser, DFID, UK spoke on “The Political Champions Initiative for Disaster Risk Reduction” recently begun in Haiti and elsewhere. Stillman spoke on “The PPAF Ethanol Stove Project” and the work in Haiti. 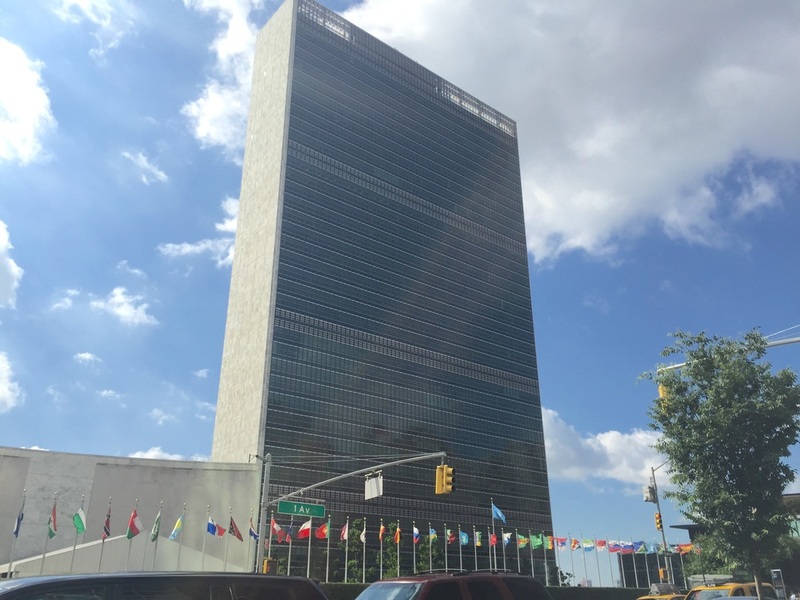 Following our Consultation on Ethanol Cookstoves and Fuel at the UN in April, PPAF organized a meeting at the UN Foundation office of the Global Alliance for Clean Cookstoves (GACC) in Washington, for those who could not come to New York. Participants came from the Brazilian Sugarcane Industry Association (UNICA), the International Lifeline Fund, the Roundtable on Sustainable Biomaterials, the UN Environment Program, the US Agency for International Development as well as the GACC, Path to Haiti Business Consulting LLC and PPAF. PPAF started the meeting with its new video. Discussions focused on the various organizations and how they could relate to expansion of ethanol cookstoves and fuel in Haiti. PPAF and Path to Haiti also met with Inter-American Development Bank staff and with the Director of the US Cookstoves Initiatives in the Office of the Secretary,U.S. State Department. PPAF, Path to Haiti Business Consulting LLC, SImACT Inc. and others were conducting a pilot project on ethanol ﻿stoves﻿ and related fuel. Dometic Group AB makes the stoves and Project Gaia, Inc. donated an initial supply. It is the first project of its kind in Haiti. The consultation aimed (1) to advance expansion of the project in Haiti by bringing together a range of actors for agreement and next steps; and (2) to promote the benefits and possibilities of ethanol cookstoves and fuel. An article on the event appears in the April 2013 "Update" from the Global Alliance for Clean Cookstoves. ​David Stillman gave the keynote address to the General Assembly of the World Association of Former UN Internes and Fellows (WAFUNIF), held in their office at the UN. The event was livestreamed to their members worldwide. Working with the UN Office for Partnerships, PPAF organized its annual Partners Against Poverty meeting at the UN, focusing on community-level energy and development. David Stillman opened and moderated the session and several from PPAF participated. Presenters included BioGen (Dominican Republic and U.S.), Medesco (U.S.), Habitech International (U.S. and Dominican Republic), WECAN, Inc., Project Gaia (U.S., Ethiopia and Brazil) and Viridian Energy, whose program for non-profits can benefit our Foundation. The e8 and UN-Energy, with many other partners, launched the global initiative for “Strengthening Public-Private Partnerships” to advance sustainable energy development at the above meeting. 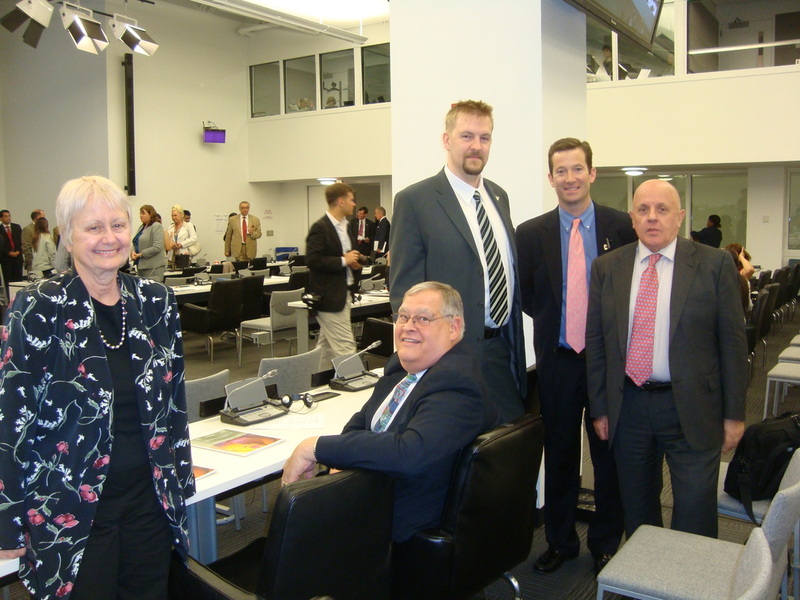 PPAF board members, Senior Fellows, colleagues and a number of others attended. The focus was on partnerships to support and promote the global deployment of low and zero-emitting electricity technologies at country, regional and global levels. The e8 and UN-Energy had conducted a global survey and analyzed case studies highlighting the enabling policies and best practices of partnerships. PPAF was proud to join the United Nations Department of Public Information (UN/DPI) as an accredited non-governmental organization (NGO), effective December 2009, because of its program of information on UN-related issues and its work with the UN. PPAF's credentials included conferences held at the UN, collaboration with UN Departments and Agencies, collaboration with Permanent Missions to the UN, videos produced at the UN, a website and blog about the UN and programs, reports & press releases. A group of 25 high-level participants from the Dominican Republic, the US, Haiti and the United Nations met on 17 June, 2009 at the UN Headquarters in continuation of PPAF’s 7 May Third Annual Partners Against Poverty seminar. Click here for further information under the website heading: Renewable Energy. PPAF's Third Annual Partners Against Poverty event featured discussions on investment partnerships for ethanol development and production. A group of 45 professionals and government officials from Brazil, the Dominican Republic, Haiti, Honduras, and the U.S. met at the United Nations on May 7, 2009 for a facilitated discussion on ethanol and related bioenergy. Seventy representatives from the UN, the private sector and civil society met at the UN Headquarters on July 16, 2008 for deliberations on “Partners against Poverty – Awareness, Agreements and Actions”. This second annual meeting touched on a wide range of topics, including: agribusiness; tourism and the environment; women, entrepreneurship, and microfinance; health; and renewable energy. 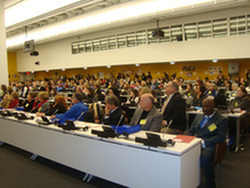 PPAF participated in the 60th Annual DPI/NGO Conference at UN Headquarters in New York from 5 to 7 September 2007. A main feature was review of the scientific evidence on climate change. PPAF spoke at the event and organized a luncheon. The Public-Private Alliance Foundation was established in 2007 as an outgrowth of the UN Public-Private Alliance for Rural Development and the interest of the ambassadors to the UN from Madagascar, the Dominican Republic and Haiti to connect business and poverty alleviation. It emphasizes a pro-poor business approach to sustainable development. A joint letter on this subject was presented to the President of the UN Economic and Social Council in Geneva in July 2007 by the permanent missions of Madagascar and the Dominican Republic, and the Council officially recognized PPAF's establishment. PPAF has its roots in the UN Public-Private Alliance for Rural Development, an initiative of the UN Economic and Social Council (ECOSOC). Pictured above are Amb. L. Merores (Haiti) (VP of ECOSOC); Amb. Z. Andrianarivelo-Razafy (Madagascar); D. Mejia; D. Stillman; Amb. F. Lorenzo (Dominican Republic).